Different from other “veggie heads” or “green- smoothie fads” AHKI laces her content with personal style, intelligence, science, and, surprisingly, Hip-Hop. Ahki transitioned to a plant-based diet at just 18, and became a colon-therapist at 25. She decided to study under Dr. Mark Armstrong and received a bachelors in naturopathic science and holistic theology. As a black native Chef Ahki has always been intrigued by the healing power of herbs, and eastern traditional medicine. In short, she cares wants you to walk away empowered and inspired to Get Healthy… By Any Greens Necessary. Each package includes: a One on One Phone Consultation with Chef Ahki, The Chef Ahki Wellness Guide, plus The Electric Foods Shopping List and Do Not Eat list. The Chef Ahki plan comes complete with Meal Calendar & Recipes for 7, 14 or 21 days. 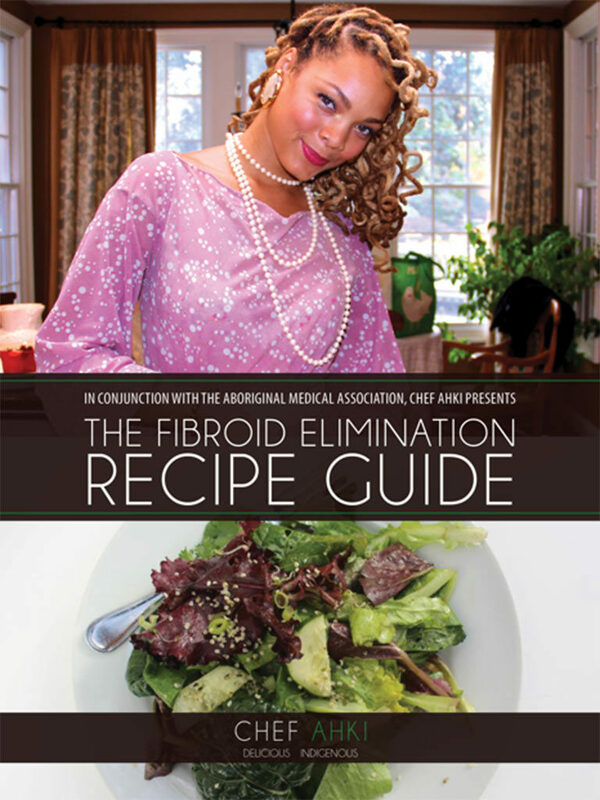 The “Fibroid Elimination Recipe Guide” cookbook is a concise, “no nonsense” instructional manual that has been composed as the result of years of dietary research and clinical trials, that has led to the development of an infallible process that can actually totally eliminate uterine fibroids in as little as 40 days. Not only should we eat Alkaline Electric Foods but we should also use use vegan plant based body care. Check out this Amazing brand Honey Pot Feminine Wash! The Honey Pot washes are gentle enough for your most delicate parts and safe enough for expecting moms and even young girls, these feminine washes are free of sulfates, parabens, carcinogens, dyes, additives and artificial ingredients – utterly free from anything unnatural. With that in mind, we encourage you to read more about what The Honey Pot can do for you! Here’s to a blissful washing experience!